Do you know what our name means? 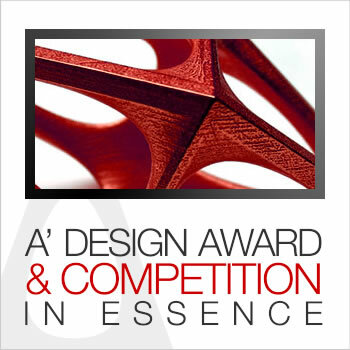 Do you know what A' (A-Prime) Design Award & Competition stands for? Where do our name come from? In our award ceremonies and gala-nights, occasionally people say they win the A Design Award so we had to communicate what A Prime Design Award & Competition i.e. A' Design Award & Competition is, how we get this name, why we chose the name A-Prime Design Award. We always remind that A' > A. What do people call us? We are also occassionally called the A Awards, A’ Awards, A-List Awards, A-Design Awards, A-Prime Awards, ADESIGNAWARD, APRIMEAWARD, APRIMEDESIGNAWARD, A Prime Design Award, A-Prime Design Award, A-Prime Design Accolades, A’ Design Accolades, A’ Design Prize, The Design Prize, DESIGNAWARD.COM among dozens of others including but not limited to "The Design Award", "The A Award", "The Prime Award", "The Prime Design Award" and sometimes "The Award" within the domain of design, arts, architecture, technology and innovation. Our name is pronounced as A Prime Design Award. A : is the symbol of being first. symbol: 1. the first in order or in a series. 2. a grade or mark, indicating the quality of a work as excellent or superior. Prime : is the status good design deserves. adjective: 1. of the first importance; demanding the fullest consideration. 2. of the greatest relevance or significance. 3. of the highest eminence or rank. 4. of the greatest commercial value. 5. first-rate. Design : is what we care about. noun: 1. an object, work of art, a product, decorative scheme, a form, a structure etc. that has been thought of or realized to fulfill a certain function. Award : is how we celebrate outstanding design. verb: 1. to give as due or merited; assign or bestow. 2. to give (something due), especially as a reward for merit. Competition : is how we communicate. noun: 1. a contest for some prize, honor, or advantage. 2. the act of competing; rivalry for supremacy. What is A’ Design Award Really? A’ Design Award is an international design award where entries are judged by a grand jury panel of expert design professionals, press members, academics and entrepreneurs. Laureates of the A’ Design Award are given a special design prize called the A’ Design Prize which includes but not limited to many services to promote, advertise, highlight, publicize and market the award winning works. The A’ Design Prize is quite special as it includes an extensive public relations campaign. The PR campaign involves preparing a press release for the award winning design and its designer, this press release is distributed to thousands of press members and is also available online. In addition to the press release a digital press kit which includes further information and photographs of awarded designers as well as the works are sent to press partners and international design media. A’ Design Award manages an extensive database to reach design editors in all countries. To reach the design editors in different countries, the summary for each award winning design is also translated to multiple languages. The translation service enables the winners’ news to be published in non-English publications reaching 99% of the world population in their native language. Winners are further communicated to magazines as well as blogs. A’ Design Award distributes physical press kits to editors and also sponsors posts at many online publications to help spread the news about winners. Newsletter announcement of the competition reaches tens of thousands of design enthusiast as well as accredited press members. The prestige of the event comes from the grand jury panel which vote on entries following anonymous blind-peer review process with criteria based voting. The competition also provides a design award winner logo and badge to its winners. Unlike other prestigious design awards and competitions, there are no yearly fees involved for using the design award winner logo, likewise there are also no further fees and there are no costs if a design is awarded, this is because the A’ Design Award has a no further fees policy. The only exception to this rule is for people who do not join the Gala night to pick their winner-kits, these people pay the shipment fee to get their kits delivered to their address. Speaking of the Gala-Night, it is a great, black-tie event where press members, designers and businesses join to network and celebrate. During the Gala-night and award ceremony, award winning designers are given the physical components of the A’ Design Prize i.e. the winner kits. The A’ Design Award winner kits include the 3D printed metal award trophy in a beautiful package, the hardcover yearbook publication of the best designs in the world featuring award winning designers globally – in this particular book the A’ Design Award winners are published and the book is further distributed to press members worldwide, a certificate of design award victory, posters of the exhibition, poster of the design award, poster of the award winning work, invitation to exhibition, and merchandise that changes yearly such as pins, bookmarks or bags. The Exhibition of the award winning designs are made online and physically. Usually the exhibition takes place initially in Italy, but it could move to many different countries throughout the year. The A’ Design Award also manages World Design Rankings thanks to the fact that the A’ Design Award is the World’s largest design competition. The A’ Design Award is open to all categories of design work except for design of weapons and drugs, everything else including all types of design, art, craft, technology, innovation and engineering projects are accepted for awards consideration. The A’ Design Competition was developed after an extensive research on what designers and brands needed from a prestigious design award; the design accolade was synthetically designed and built to respond the needs of participants and thus it provides what designers and companies need the most for their work; publicity, spotlight, dissemination, advertising, promotion. While the value proposition of the A’ Design Award is publicity for participants, the competition has indeed a philanthropic agenda with two goals. The primary goal of the A’ Design Award and Competition is to create a global awareness and appreciation for good design, good design practices and good design principles. 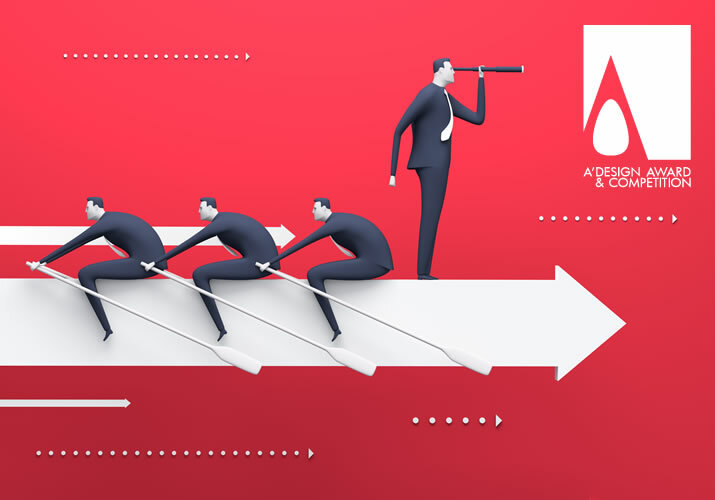 The mission of the A’ Design Award and Competition is to create incentives for world designers and brands to come up with superior products and projects that advance and benefit society. If you are a designer, or if you are a manager in a design oriented company, and if your designs or products are good, you should absolutely take part in the A’ Design Award and Competition today. A' Design Award and Competition is the World's largest design award. Have a look at our design award ads to see the points that we wish to highlight about our competition.